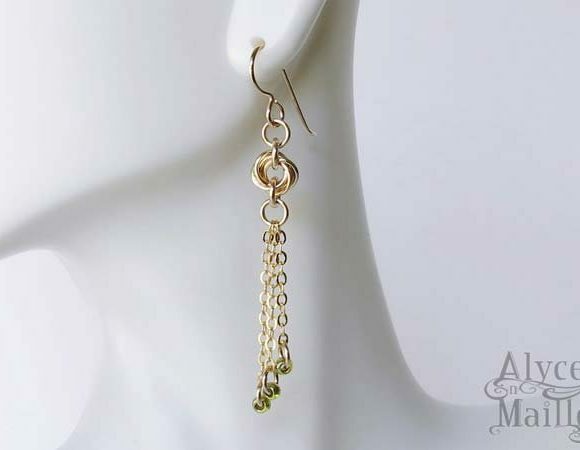 This Alyce n Maille earring design was featured on the character Nora (actress Scarlett Byrne) on the TV show The Vampire Diaries. 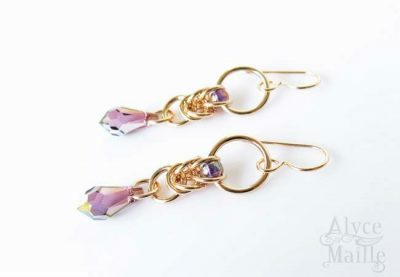 These exquisite earrings are meticulously handwoven using 14kt gold filled rings, delicate glass beads and lilac iridescent Swarovski crystals. 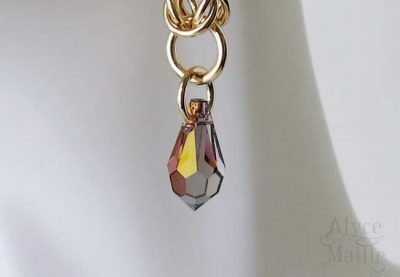 These gold earrings are feminine and unique. These exquisite lilac crystal drop earrings are truly stunning. Each earring is beautifully handwoven using 14kt gold filled rings, delicate glass beads and shimmering iridescent crystals. 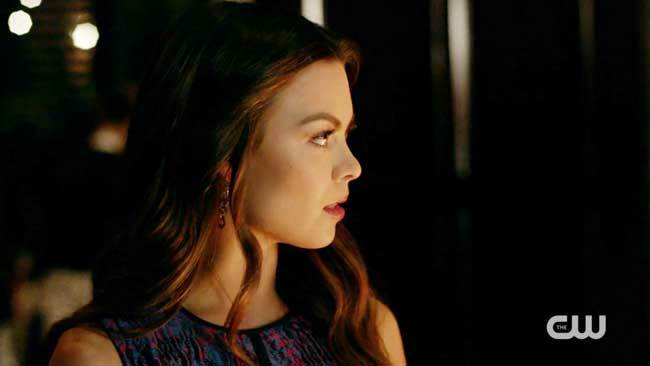 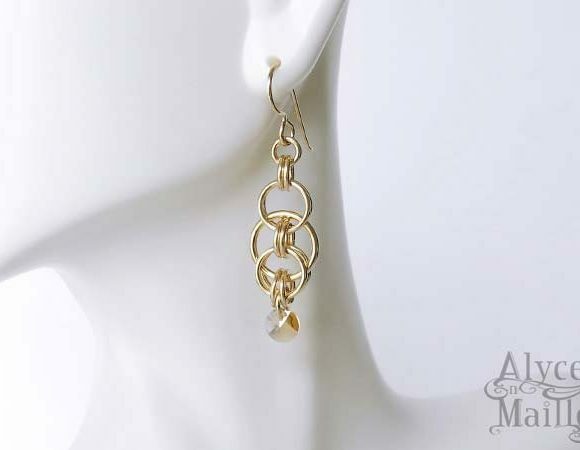 This Alyce n Maille earring design was worn by the character Nora Hildegard (actress Scarlett Byrne) in episode 706 titled “Best Served Cold” of the CW TV show The Vampire Diaries. 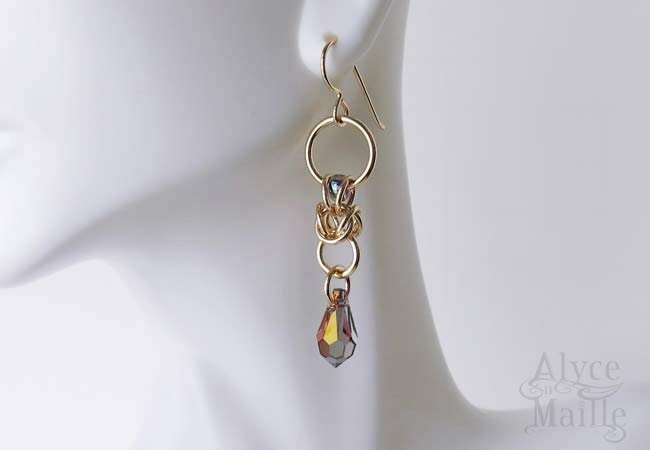 This is the actual Alyce n Maille design that was chosen by the stylist of the “The Vampire Diaries,” in collaboration with The Artisan Group®. 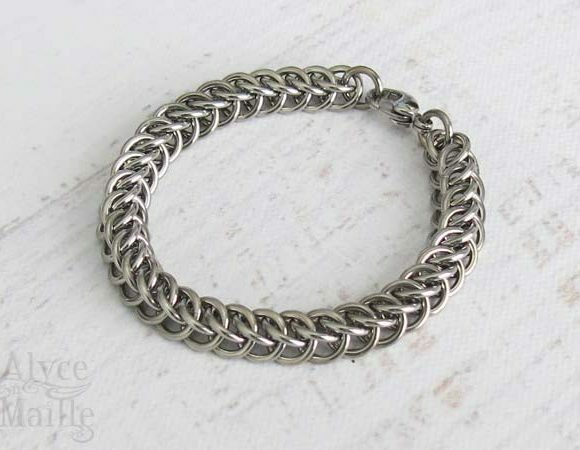 This is not an imitation and is protected by © copyright.